Beaches and Cream is a hidden gem at Disney’s Beach Club resort. With it’s 1950’s ambiance and comfortable diner atmosphere, dining here is a lot like coming home for some guests! We rarely make a trip to Disney World without going to Beaches and Cream. Even though the food is pretty basic, it’s the most wonderful kind of basic I know! I stopped into Beaches and Cream on a whim with friends last week and was delighted to see a couple of brand new desserts on the menu: the chocolate cake, and the apple and craisin pie. We had to try them…and order a couple of old favorites, too! I love apples. I love pie. And I love Craisins. So this order just made sense! The pie comes cold, which I was surprised at, and there’s no ice cream accompaniment, so if you’re a pie-and-ice-cream kind of person, be sure to order a scoop on the side. The filling was very gooey, which made me think it was canned apples with Craisins thrown in, but that would surprise me for Beaches and Cream. 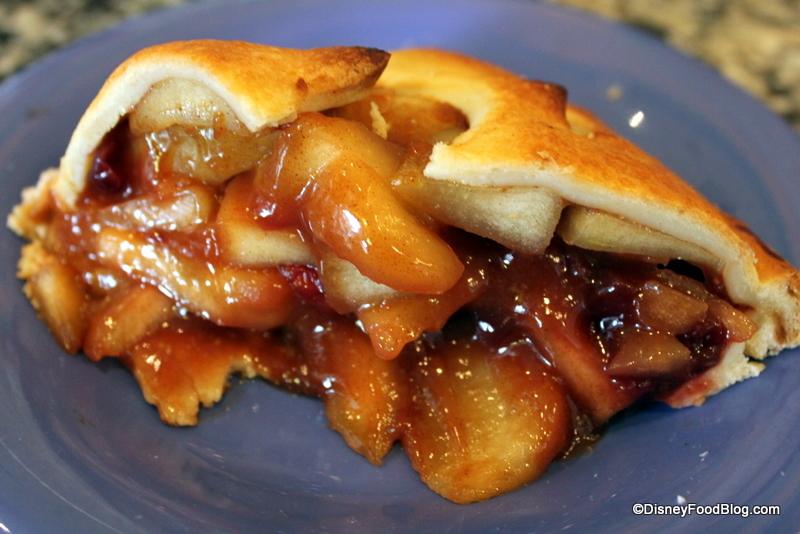 That said, expect a more gooey apple texture here than a fresh baked pie texture. Also, the crust isn’t really flaky. 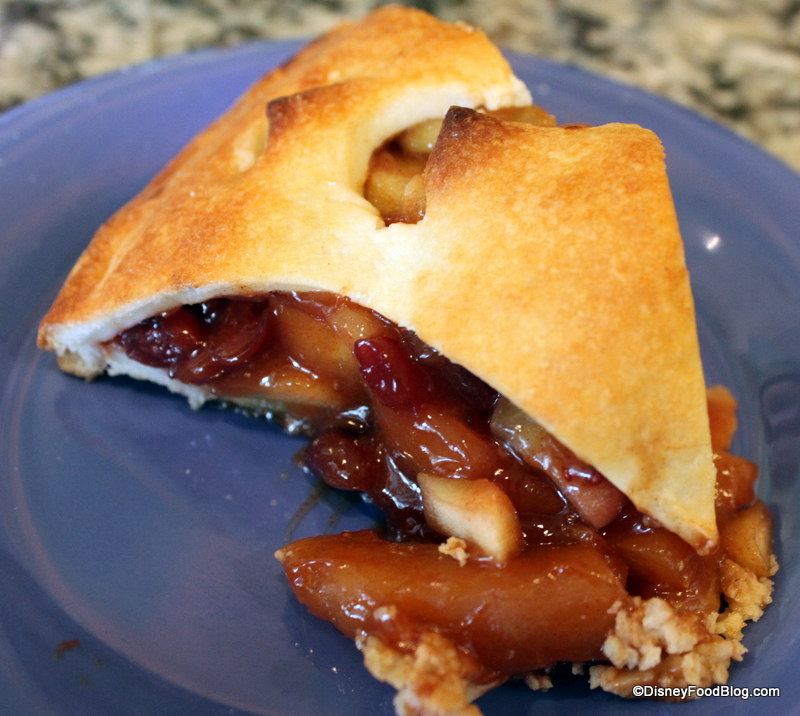 It’s thicker than traditional pie crust — another surprise. While the pie wasn’t bad, I don’t think it would be my choice at Beaches and Cream. There are so many other wonderful desserts here that unless you are truly in the mood for a piece of apple pie, I’d advise you to choose something else (preferably ice-creamy) from the menu. 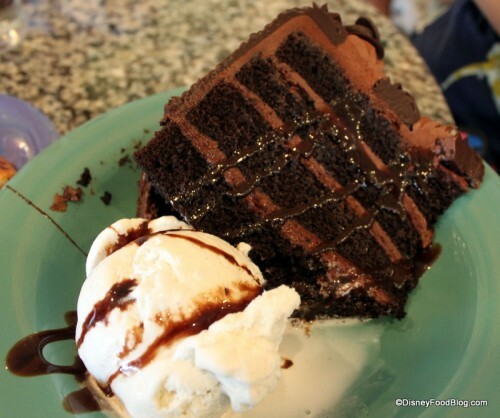 The new chocolate cake on the menu (replacing the old version of chocolate cake here) is a towering slice of layer cake served a la mode with a drizzle of chocolate sauce. For those who love chocolate-on-chocolate desserts, this will be a winner. Lots of fancy chocolate frosting on top, and plenty of moist, chocolatey layers inside. The servers at Beaches and Cream applaud this change. 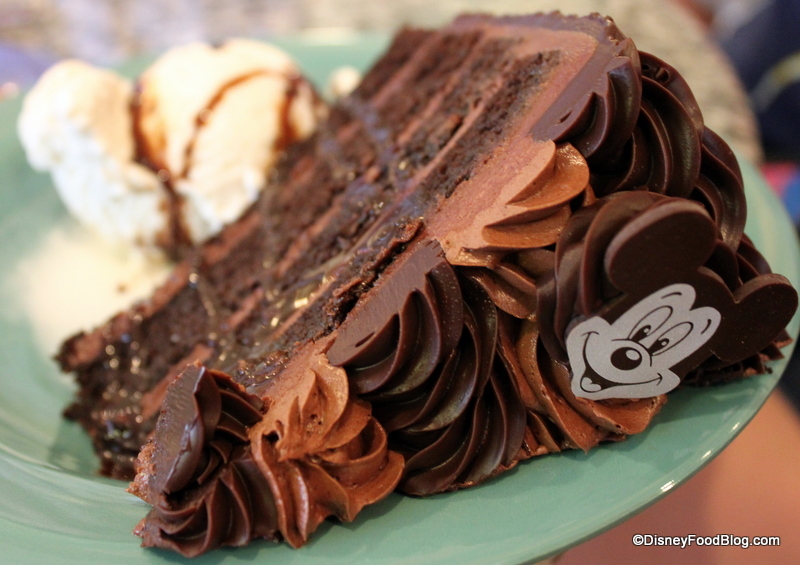 They’ve gotten lots of positive feedback from guests about the new version of chocolate cake. Plus, how can you resist that little Mickey on top? 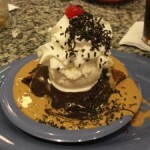 Of course, we had to go back to a couple of our favorite sundaes, which have been on the menu for ages. 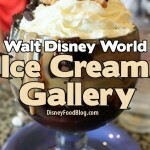 These are the classic Beaches and Cream desserts that bring Disney World guests back time and time again! First up, the Fudge Mud Slide. This concoction includes a huge brownie, three scoops of vanilla ice cream, Oreo cookies, whipped cream, and a cherry. Again, if you’re a brownie-lover or a choc-a-holic, this one’s for you! And, I’ve saved the best (in my opinion) for last. 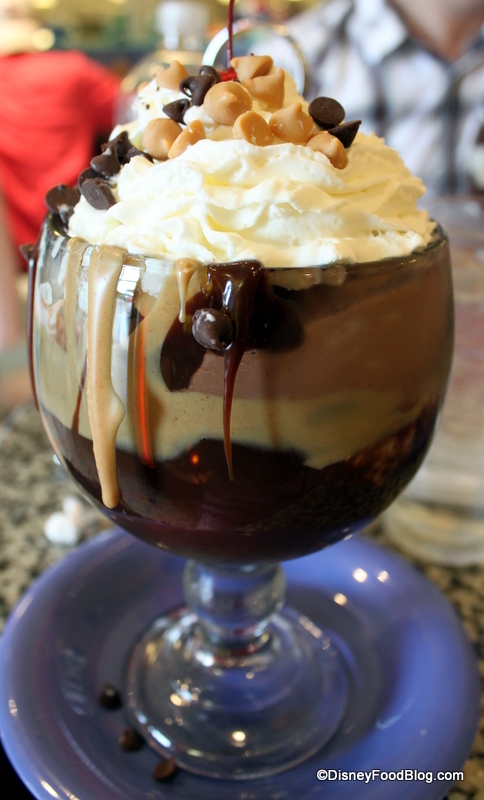 Melted peanut butter is clearly the way to my heart, and this sundae does it every time! The No Way Jose is a huge sundae filled with chocolate and vanilla ice cream, hot fudge and peanut butter sauces (separate — not mixed together, of course), peanut butter and chocolate chips, whipped cream, and a cherry. It’s truly outstanding and has been my favorite here for years and years. 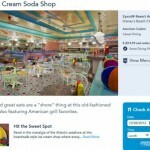 Are you headed to Beaches and Cream soon? Don’t forget they’ve had a few other menu changes as well! We can’t wait to hear what you think! I understand that Beaches and Cream would probably not take my suggestion and that many readers will find it unusual, but a nice hunk of cheese would pair beautifully with that pie. Here in New England, serving apple pie with a slice of sharp Vermont cheddar is traditional. My grandparents–Midwesterners–also ate it that way, and apparently it is traditional in parts of England (Yorkshire). And I’d bet that old-time diners in New England used to serve it that way. The presence of the dried cranberries, the cranberry also being a regional New England product, seems all the more reason to add some cheddar. Deeeeeeeeelicious! I agree with Pudge. Serve that chocolate cake anywhere else and I’d get it. But I’ve been getting the No Way Jose every single time I go! 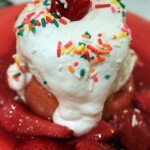 When you look up comfort food, Beaches & Cream should be there!!! Love their burgers, fries, shakes. Took my kids there and now my grand kids. Grandson hasn’t stopped talking about it. My wife will have about three drinks a year and they are usually mud slides. 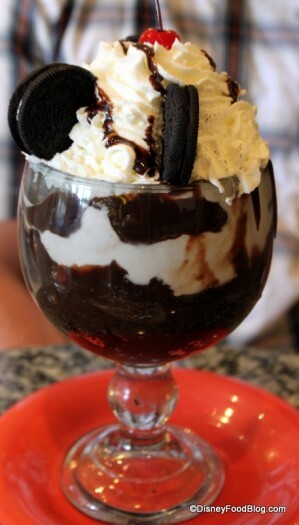 From across the room she saw the picture of the fudge mud slide sundae and said that’s the one she would like to try. Did someone say, “Cheese, please?” Silent Cal – LOVE that idea! Yum (and I’m originally from Alabama)!! Does anyone know is the NO WAY JOSE gluten free? I would love the cake but unfortunately no can do, but it’s a great addition with a scope of vanilla ice cream. Never been to B&C (the one time we tried they had just closed) but I may have to visit it twice one this next trip so I can try the No Way Jose and the chocolate cake. Yum! We love Beaches and Cream! Just out of curiousity, why does it surprise you that the apples in the pie are possibly canned? (I agree, they look canned to me!) It seems like with the volume they’d have to make at Disney, canned would be the best option. I know a lot of bakeries/restaurants use them to get a consistent product and it wouldn’t surprise me if Disney fell into that category. My grandpa always said apple pie without cheese is like a hug without a squeeze, so I am totally in favor of that idea! 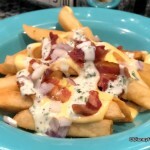 I’m starting to lean towards this being our post-wdw half marathon 2012 lunch… that No Way Jose looks ridiculous. How is this compared to Ghiradelli’s for dessert? Both seem to have great reviews. As wonderful as all of these look, does Beaches and Cream do any of these gluten free? oooo that Chocolate Cake looks amazing!